A round up of articles, links and videos that we shared on Twitter this month. 1. We wish we could head out to LA this spring for the Skirball Puppet Festival. It sounds like a blast! 2. Continuing with the theme of cool puppet events that we’ll have to miss, this production of The Little Prince in NYC also looks amazing. 3. Closer to home, it’s your last week to catch Pointless Theatre Company’s production of Dr. Caligari, with puppets designed and constructed by our very own Genna Davidson. 4. We were also excited to get to see The Winter’s Tale, produced by Half-Mad Theatre here in DC, with a puppet Mamilius. 5. 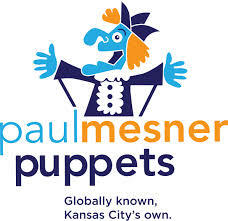 This article about US puppeteer Paul Mesner was a lovely and thought-provoking read. Take a look! This entry was posted in Events, Inspiration, World and tagged Dr Caligari, Genna Davidson, grab bag, Half-Mad Theatre, Paul Mesner, Pointless Theatre, Skirball Puppet Festival, The Little Prince, The Winter's Tale by ccbooks. Bookmark the permalink.